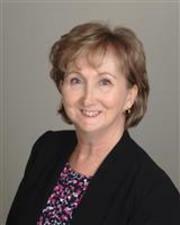 An experienced agent, Sherry specializes in residential real estate in Brevard County Florida. As a former Air Force wife, she knows well the stresses of relocation. To help ease the transition she has developed great relationships throughout the business community with lenders and numerous service providers. Sherry moved to Brevard County in 1982. Although she has made numerous moves across country, across the state and around the world with her husband and family, she has maintained a home base here on the Space Coast since then. She is well acquainted not only with the area but with various lending programs available locally and assists her clients by matching them to lenders offering the best financing programs for their individual situations. She's developed an excellent marketing plan that gets her sellers top dollar in the shortest time possible. Sherry believes that Real Estate is a knowledge based business, so to stay abreast of current trends and technologies affecting this market she takes advantage of as much continuing education as possible. Her goal is to provide excellent service not only during the sale but even after the close. She wants to be your Realtor and is never too busy for your calls or questions.